100% transparent colors made with aniline dyes suitable for automotive refinishing and exterior applications. candy2o are concentrate. Add 30 – 100% per volume 4030 Balancing Clear for spray performance. Optional lowering of viscosity is achieved by reducing with 4012 High Performance Reducer. candy2o work as 1) mid-coat colors over a metallic base, 2) as candy-pearl colors when mixed with Auto Air 4300 Series Colors and 3) as tints to create special custom colors, for example tinting Auto Air Metallic Colors with candy2o Dirt Track Brown to create deep, earth-toned hues.candy2o are intense. 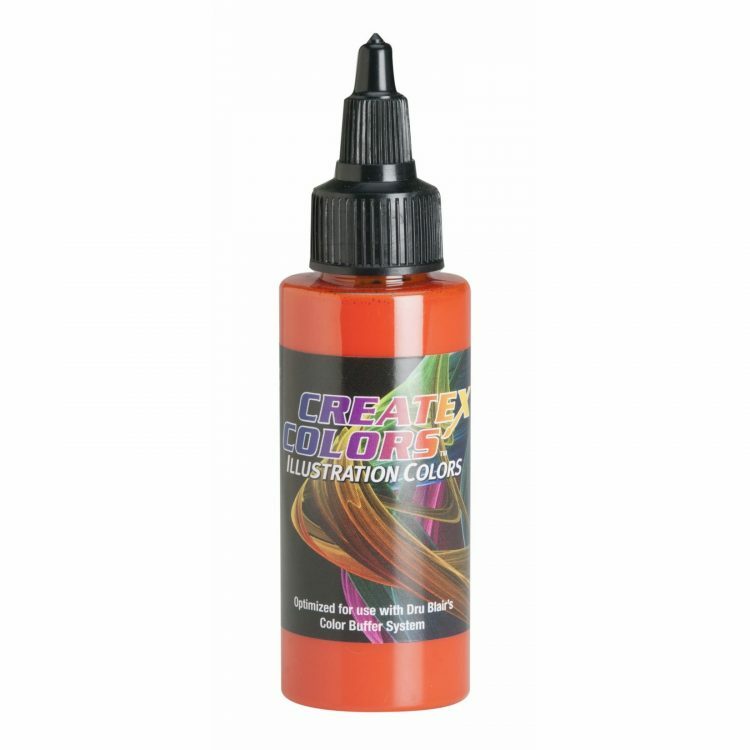 4  6 medium wet coats are recommended for full color saturation. Allow each coat to air dry tack free prior; approximately 10 minutes flash-time in between coats when painting in non-humid, temperate conditions around 70 deg. F. Adjust drying times in humid or colder conditions. 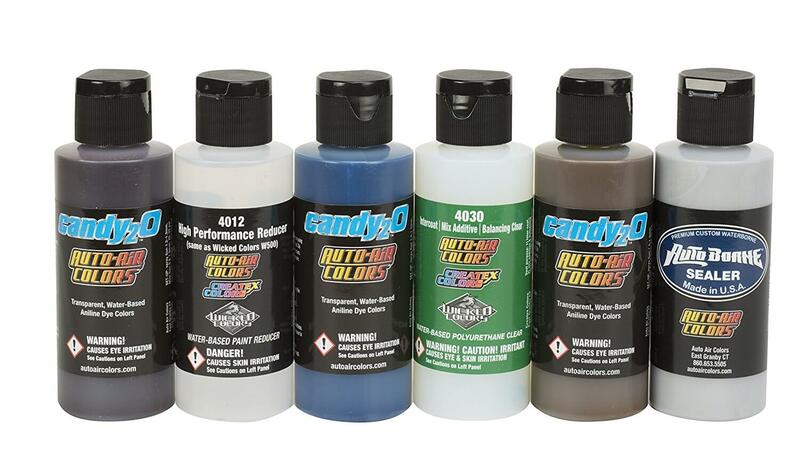 candy2o work with a wide variety of spray-gun and airbrushes. The following specs are recommended as a starting point. As always, achieving a finely atomized spray pattern is the goal. 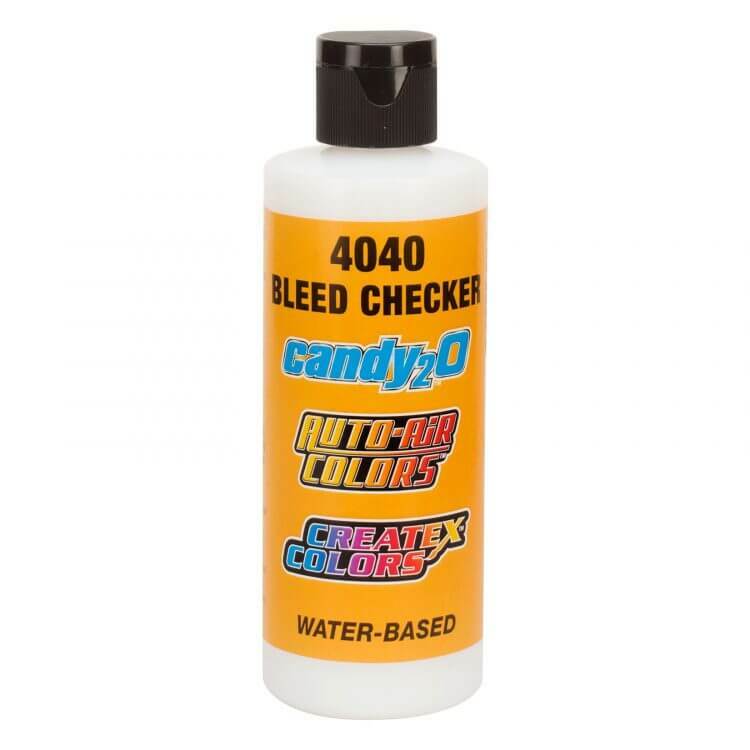 When using a spray-gun, mixing candy2o 1:1 4030 Balancing Clear allows for best application to achieve an even color-build without mottling. airbrush: 0.18 – 0.5mm, generally add 25  50% 4030 Balancing Clear and reduce as needed with mixing with 4012 High Performance Reducer.